In the past, whenever doubts arose about the intentions of Iran’s nuclear program, the Iranian regime has been quick to point to the Supreme Leader Ayatollah Ali Khomenei’s fatwa (pg. 121) (decree) as a guarantee of Iran’s resolve not to pursue nuclear weapons. Many Iranian leaders like former head of the Iranian judiciary, Ayatollah Amoli Larijani have quoted the Supreme Leader’s fatwa to reiterate any lack of interest in pursuing nuclear weapons. In an interview with Gareth Porter of Foreign Policy, former IRGC minister and head of the Supreme Leaders’ security detail, Mohsen Rafighdoost, stated that the Supreme Leader had described nuclear weapons as haram and proscribed building nuclear or chemical weapons even in face of attacks on Iranian cities with chemical weapons. In fact Iran’s then foreign minister, Ali Akbar Salehi had suggested (pg 40) that Iran could made the fatwa ‘a legally binding official document in the UN.’ However, nothing much came out of it. The skepticism about Iran’s nuclear pursuits and their purely peaceful nature also emanate from the drivers of a possible Iranian nuclear program. For instance, why would Iran not pursue a weapons program in light of security challenges like knowledge of the Iraqi nuclear weapons pursuits, chemical weapons attacks by Iraq; linkages that the Iranian regime draws between the nuclear program and nationalism; and the primacy that the Iranian leaders place on science, technology and self-reliance. 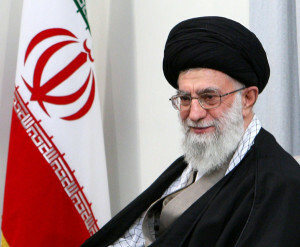 On the other hand, Iranian leaders – like the current Iranian President Hassan Rowhani – have argued against building nuclear weapons as they seem to realize that a nuclear Iran would worsen the regional security situation, forcing many states in the region in to the US alliance and would be inimical to Iranian interests. Fatwas as a rule, are understood to be religious opinions, or judgements that are meant to be binding on the followers of a particular jurist. Although fatwas are issued throughout the Muslim world, they are much more prominent and part of the theological structure of the Shia Muslim community, with its hierarchy of clerics, expert in the finer aspects of Shia jurisprudence. Given the role and position of the Supreme Leader, in the Iranian political system, his fatwas are of course importance and carry due weight. However, given the dynamic and fluid world of Iranian politics, all such pronouncements – including that of the Supreme Leader – have been open to interpretation and do not hold sway all the time. Further Ansari notes, “not clear that they (fatwas) amount to an unqualified religious binding”. In light of the above, the December 2, 2015 report released by the International Atomic Energy Agency (IAEA) which deals with past unresolved issues or what is popularly termed as Possible Military Dimensions (PMD) is very significant. The report was a requirement that flows out of the Joint Comprehensive Plan of Action (JCPOA) agreed between Iran and the P5+1 on July 14, 2015. Under the JCPOA, Iran had agreed to work with the IAEA to resolve these outstanding issues and concerns about its past weaponisation efforts. The IAEA in turn was required to submit a report to the IAEA Board of Governors by December 15, 2015. The December 2015 report states in unambiguous terms that Iran was pursuing various activities related to a nuclear weapons program in a coordinated fashion till 2003. Following this, till 2009, some independent though uncoordinated efforts related to nuclear weapons continued. However, it also states that the IAEA has “found no credible evidence of the diversion of nuclear material in connection with possible military dimensions to Iran’s nuclear programme.” Though much richer in detail, the timeline mentioned in IAEA’s report is similar to that of the American 2007 National Intelligence Estimate (NIE) which had also stated “with a high degree of confidence that Iran was not pursuing a nuclear weapons effort post 2003”. Thus it is clear beyond doubt – especially in light of the recent December 2015 IAEA report – that the Iranian regime continued its nuclear weapons efforts despite the Supreme Leader’s fatwa. However, it is likely that in light of the latest IAEA’s report, the countries will agree to close the section of Iran’s nuclear file relating to its past weaponisation activities and decide to move ahead in the spirit of the July 2015 nuclear agreement.